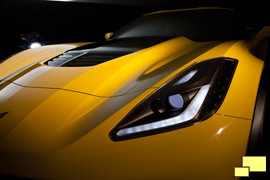 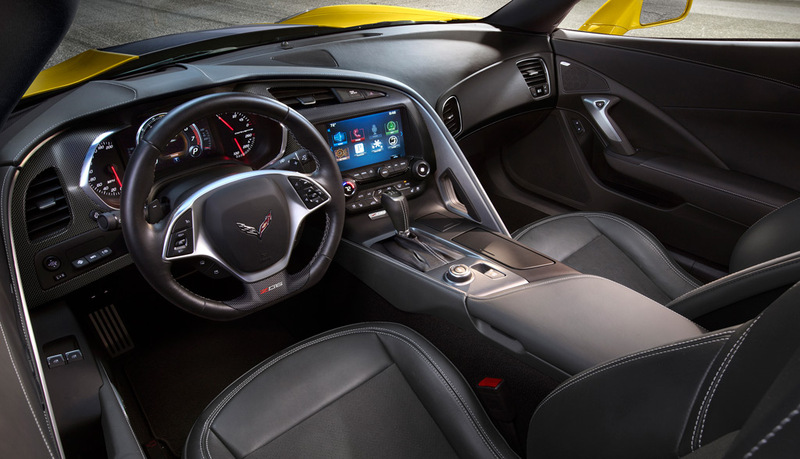 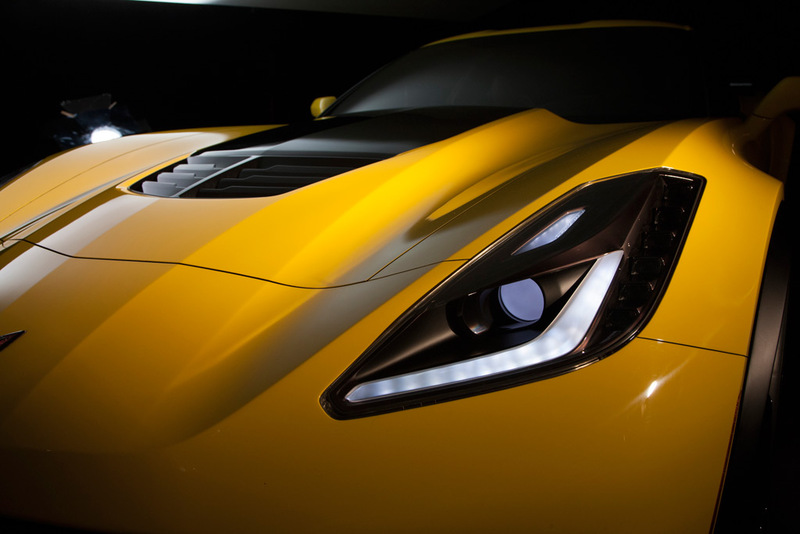 The 2015 Z06 interior is mostly the same as can be found on the Stingray; one exception is the flat bottom steering wheel. 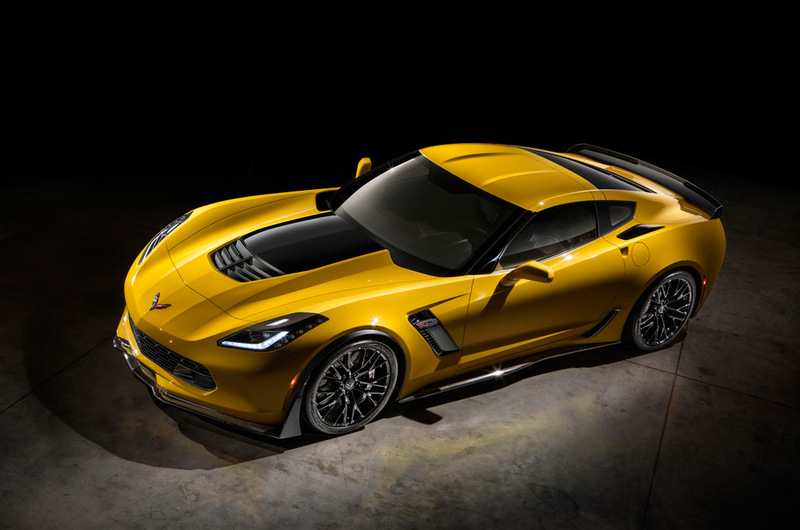 Both the standard GT seat and the Competition Sport seat (RPO AE4; $1995.00, $2,495 with suede inserts) will be available in the Z06. 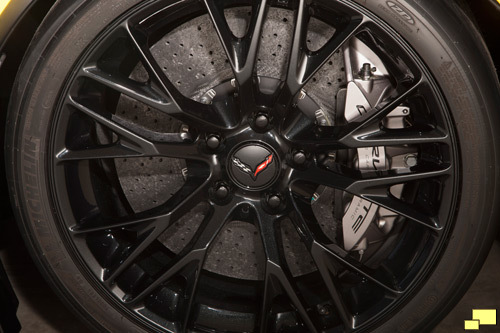 Brembo carbon ceramic-matrix brake rotors are part of the Z07 Performance Package; they offer reduced unsprung weight along with superior braking performance. 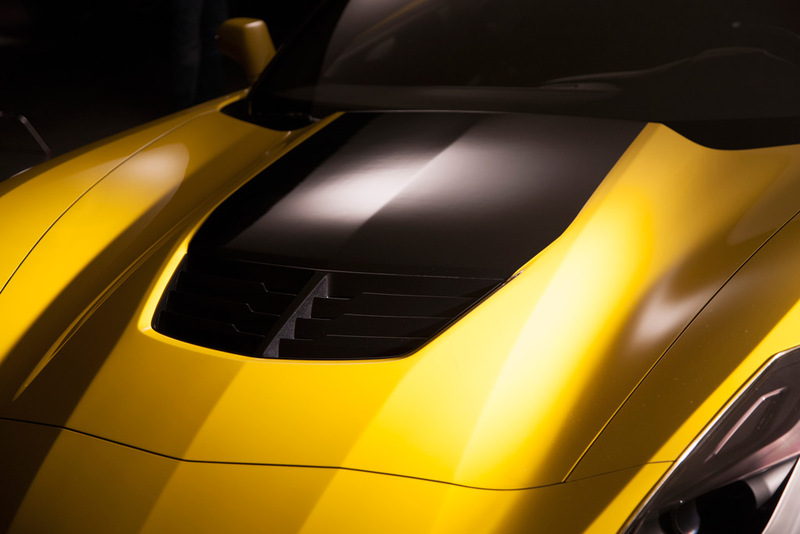 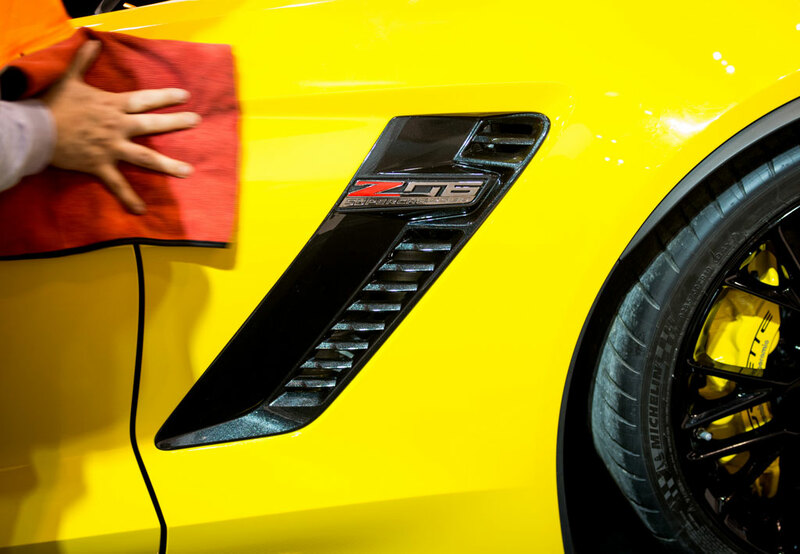 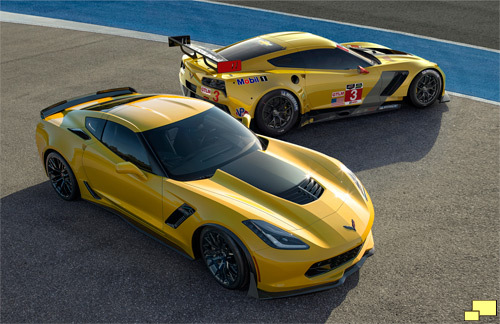 The Z06 features two-piece steel rotors, measuring 14.6 x 1.3-inch (371 x 33 mm) front and 14.4 x 1-inch (365 x 25 mm) rear, with aluminum six-piston and four-piston fixed calipers, respectively. The Z07 package adds larger, 15.5 x 1.4-inch (394 x 36 mm) front and 15.3 x 1.3-inch (388 x 33 mm) carbon ceramic-matrix brake rotors and collectively save 23 pounds over the standard Z06 rotors. 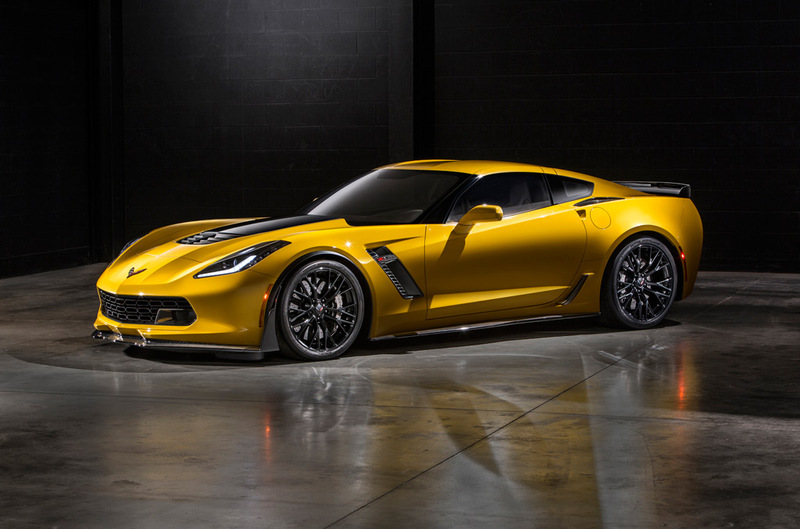 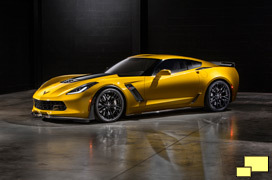 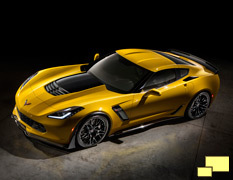 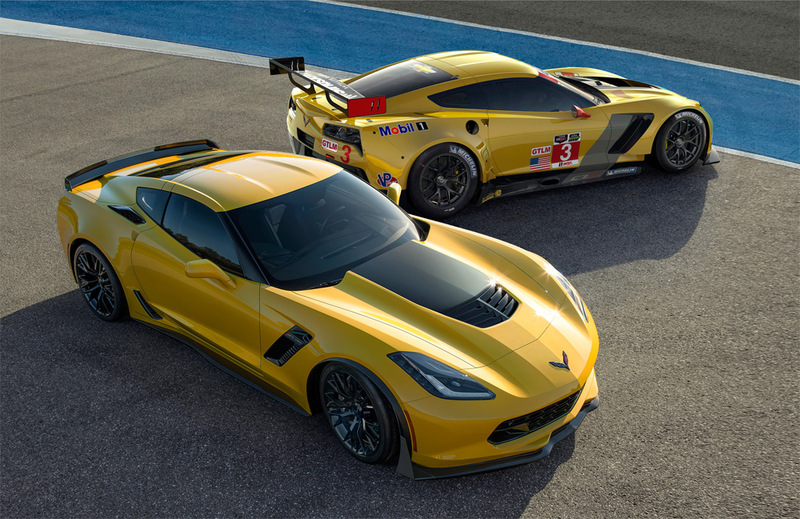 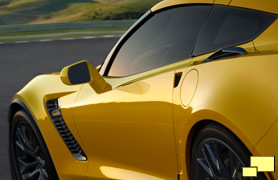 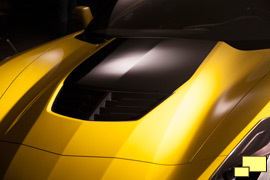 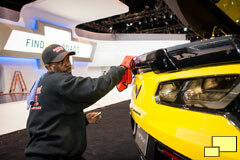 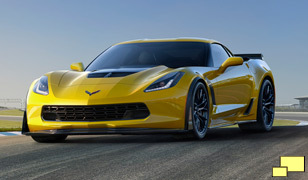 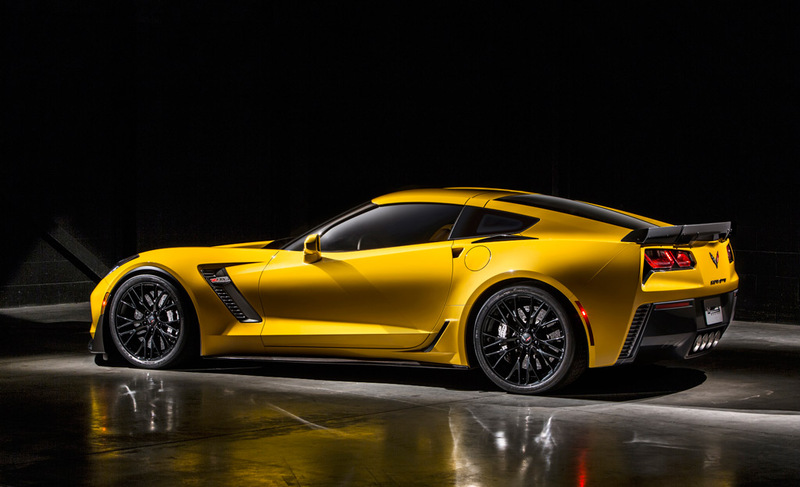 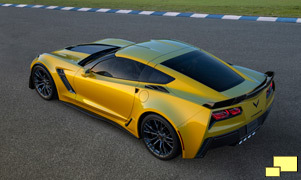 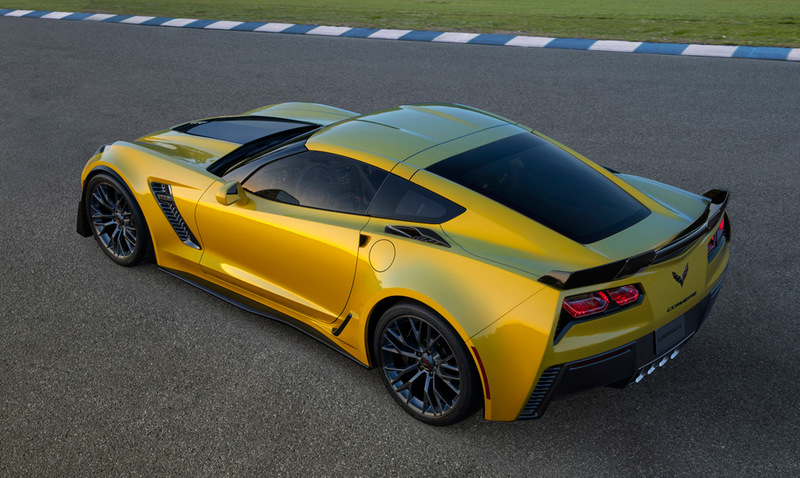 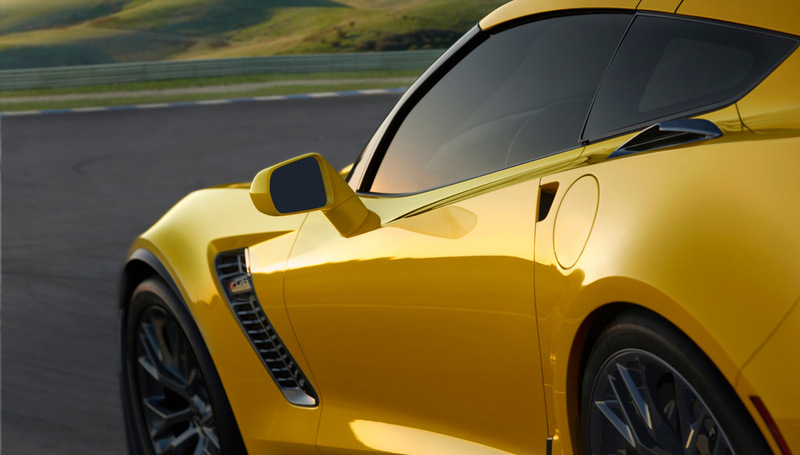 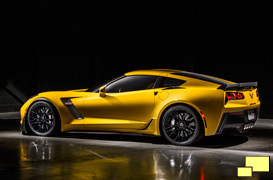 Development of the 2015 Chevrolet Corvette Z06 and the 2014 Corvette C7.R race car took place simultaneously, further blurring the line between street and race cars, a happy state of affairs welcomed and encouraged by all involved.